The distribution rights of ace director A.R. Murugadoss' Surya-Shruthi Haasan starrer 7am Arivu in Kerala have been sold for a record price. According to sources, a leading Tamil distributor in Bengaluru has purchased the rights for a whopping Rs. 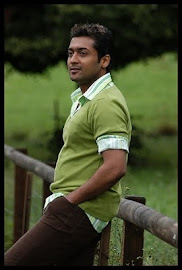 2.50 crores, the highest ever paid for a Surya film in the state. Being dubbed in Telugu as The 7th Sense, 7am Arivu is distributed in Kerala through Divya Pictures Ravi, who is planning to release it in around 100 screens during Deepavali. Notably, Surya’s Singam was sold only for 90 lakhs for Kerala territory but the film went on to do business worth Rs 1.75 Cr in the stae. It is going to be an interesting battle in Kerala as Tamil hero’s Vijay’s Velayutham and Shah Rukh Khan’s RA.One will be clashing with 7aum Arivu.